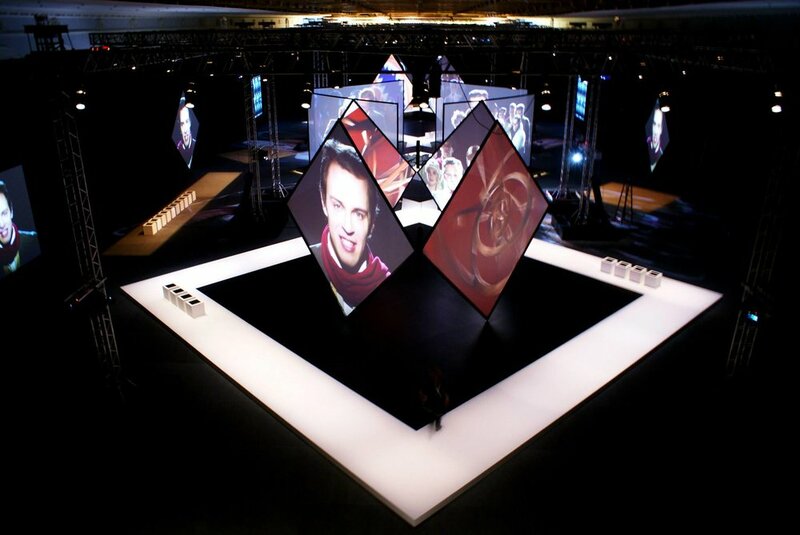 This multiscreen installation in the Manege - 5000 square metres - in Moscow is about the rise and fall of the Russian avant-garde. The period between the fall of the Tsar and before Stalin got to power was a vibrant period of creation in all art disciplines. Black Square by Kazimir Malevich — perhaps the most famous work of Russian avant-garde — formed the basis and the central metaphor of the exposition. 11 personages told the story of this interesting era. The audience was able to construct their own film by walking around and looking at one of the 12 main screen or 6 sidescreens showing different stories. 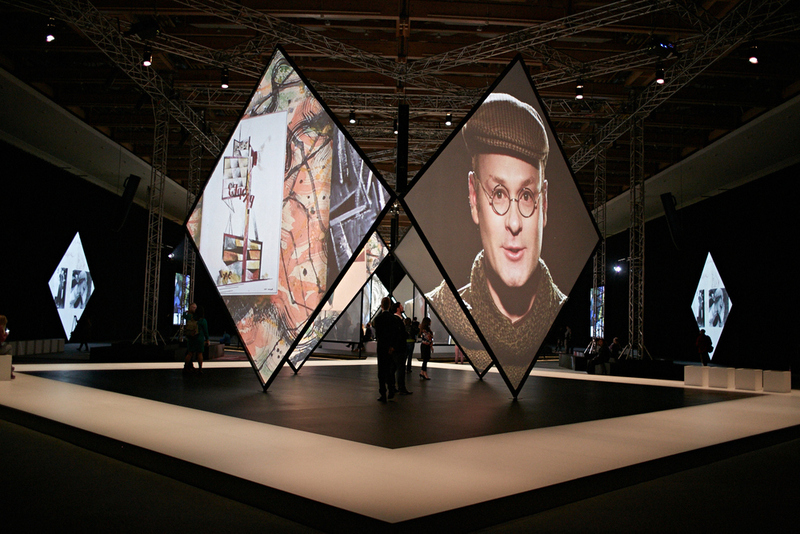 The 12 screens broadcast a 15-minute presentation, with scenes blending actors with images from more than 400 avant-garde works, photographs and film reels. The combination of 12 young Russian actors, elements of Second Life, cinema, painting, animation and 3D technology made this exhibition a real step into the spirit of avant garde. Combining cinema and painting, animation and 3D technology helps to create a unified atmospheric work, involving a viewer into the space of Russian avant-garde. Saskia Boddeke and Peter Greenawayhave been awarded with the TANR Price - the annual award of The Art Newspaper Russia - for best exhibition 2014.